Stay focused on the road not on your smartphone. Don’t text and drive. It CAN wait. There’s no point in arguing that smartphones haven’t completely changed the way people interact with one another and source information in the modern world. One of the most dangerous and unfortunate side effects of mobile smartphone technology, however, is distracted driving. A study conducted by the Transport Research Laboratory revealed that texting while driving may present an even greater risk than driving while under the influence of drugs and alcohol. The average time drivers take their eyes off of the road to text is five seconds – traveling at 55 mph, that’s enough time to traverse a football field, completely blind. Clearly, distracted driving affects any company in the transportation industry (especially trucking and moving companies), and understanding what’s at risk is crucial. According to Distraction.gov, the government’s distracted driving website, 3,154 individuals were killed in distracted driving crashes in 2013. 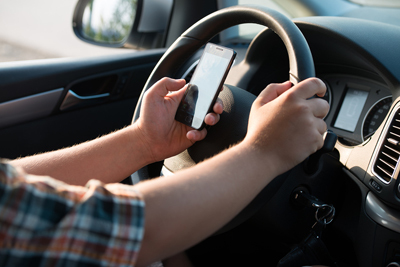 While many states have enacted tough laws that affect all drivers, The U.S. Department of Transportation has led the effort by banning texting and cell phone use for commercial drivers in all states, while launching a number of campaigns to help spread awareness of the issue. Despite these efforts, many commercial drivers continue to use their phones while on the road, typically without ever thinking of the risks. Luckily, those tempting phones hold the solution to the problem: there are a whole slew of apps that prevent texting while driving, in a variety of different ways. The more basic free apps, like AT&T’s Drive Mode, detect when a vehicle is in motion and disable text alerts. Paid apps like Cell Control have programs designed specifically for commercial autos. They give you metrics on employee driving performance, can be configured to allow or disallow certain phone functions, and have partnerships with some insurance companies to offer discounts for users. Distracted driving is one of the biggest epidemics to hit America in many years. For commercial drivers, it’s simply not an option. Making the effort to keep your drivers from texting or talking while on the job can save lives and help you to grow your organization. In the end, there’s one thing that should be made clear to all of your drivers – it can wait. How to prevent ice dam damage to your home. Do you know what an ice dam can do to your home? An ice dam can do serious damage to both your roof and the inside of your house. It can also destroy your gutters and downspouts. If the ice dam breaks free, it can pull shingles and gutters off with it, and can damage anything it falls on like shrubs, windowsills, cars, pets, and people! And, if the roof sheathing stays wet, mildew can form and rot the sheathing. Not good. While a general liability policy is a must for all construction companies and contractors, it is important to have additional coverage. Builder’s risk insurance covers gaps from a general liability policy’s limitations. Since it is affordable and offers extensive coverage, construction professionals should consider builder’s risk insurance an essential coverage that they cannot afford to skip. Every completed step of the building process adds more risk for the contractor. As buildings go up, builder’s risk or course of construction insurance helps protect structures that are in the process of being built. It provides a more comprehensive umbrella of protection than what a GL policy offers. One of the first questions builders ask is what items the policy covers. It covers the structure itself and can also include materials on the work site as well as materials that must still be transported to the work site. This includes property in storage that will be used. Scaffolding may be covered if it is used. If the fire department must respond for any reason, the fee they charge is covered. In the event of a loss due to damage, removal of the remaining debris is covered. Sewer backups and damages to valuable papers or documents are also covered. Another common question is what types of events that lead to damages are covered. For builder’s risk insurance, covered damages include those that happen due to fire, theft, wind, lightning, hail, vandalism, explosion and aircraft debris. Structures being built in high-crime areas, during storm seasons, in fire risk zones and in the path of air traffic especially need this valuable coverage. Any one of these incidents can cost a construction company or builder a great deal of money and lost work. Every insurance policy has its limits. 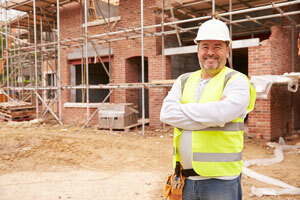 With builder’s risk insurance, earthquakes, water damage and employee theft may not be covered. There are also exclusions for government action, voluntary parting, contract penalty, war and several other standard issues. Earthquakes may be an issue in some parts of the country. While there are limitations, some coverage is provided for structures that collapse. Builder’s risk insurance covers damages due to the covered events named previously. However, it only covers incidents and materials up to the total value of the structure upon completion. Having to absorb the costs of a major loss can put a serious financial strain on a small construction business and can quickly bankrupt an independent builder. To stay protected, Mackintire Insurance in Massachusetts recommends builders risk insurance and contractors equipment coverage for all construction businesses and builders. 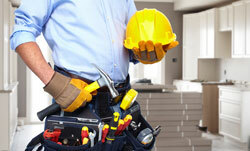 Contractors equipment coverage protects equipment that may be stolen or damaged by similar events. When adding contractors equipment coverage and builders risk insurance to GL coverage, the result is peace of mind and optimal overall protection. Contact Mackintire Insurance of Massachusetts for free quotes. How to keep your Massachusetts Home Insurance Rates lower. Here are some issues that could increase your Massachusetts home insurance premiums. 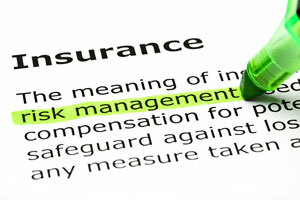 If you own a home, you need insurance as financial protection against any unforeseen mishaps. Home insurance rates vary from provider to provider, but certain factors cause the premiums to increase. Insurers consider more than just the value of the property. There are numerous issues to look into before you purchase a policy so that you can get the lowest rates and best coverage possible. The outside of your home may have a number of hazardous features that could entice a child to trespass. This type of danger zone is called an attractive nuisance. If someone explores the hazard and gets hurt, you could be liable for any injuries. Insurance providers seek extra protection when the risk of injury is high, because the chance of someone making a claim on the policy increases. The main things insurers look for are swimming pools, diving boards, trampolines and tree houses. Playground equipment such as slides, climbing structures and zip lines are also liabilities. Even a pile of construction materials or an unused vehicle rusting in the corner may be problematic. Anything interesting enough to lure a child onto the property can affect your insurance coverage and costs. If you must have any of these items on your property, research local regulations to determine how to make them safer. You may be required to install safety fences around your pool and play structures. You’ll also likely be asked to place padding around trampoline springs and use an enclosure net. If there is a playscape in your yard, you may need to lay special materials under it. The inside of your home poses just as many concerns. Wood-burning stoves and fireplaces are major risk factors, and you’ll need additional coverage if you have either. Rundown appliances, treacherous stairways and poorly maintained wiring or plumbing can drive up rates as well. Insurers also label dogs and exotic pets as high risk, and many won’t provide coverage for these animals. You can take some steps to keep your insurance costs as low as possible without having to sacrifice coverage. Start by complying with local laws, making necessary repairs to structural elements and maintaining electrical and plumbing units. Once you’re ready to purchase your homeowners insurance, verify the coverage you’ll receive so that there are no surprises if misfortunes occur. Contractors face risks and challenges many businesses can’t dream of: workplace injuries, defective materials, weather delays, theft. With these setbacks possible in any Massachusetts construction project, builders must ensure that they carry adequate contractors insurance. General Liability: This ensures that your personal assets are protected in the event of a lawsuit. Be realistic about your liability limits. This is not a place to skimp and purchase the minimum required coverage if it would not cover your actual risks. Workers Compensation: Massachusetts law requires all employees to be protected by adequate workers compensation insurance. This helps safeguard both you and your employees in the event of an accident. Commercial Auto: A contractor’s vehicles are their lifeblood. Keep them moving with sufficient commercial auto coverage. Builder’s Risk Insurance: This covers physical damage to a building during the construction process and is often required by lenders as a condition for financing. Contractors must also ensure that any subcontractors they employ carry sufficient liability coverage. Ask all subcontractors to provide certificates of insurance to make sure that you are not responsible for any accidents or negligence on their part. Likewise, it is a good idea to obtain insurance for materials, as defective materials are possible from even the most reliable suppliers and can cause enormous headaches when they happen. For an assessment of your risks and needs, call Mackintire’s contractors insurance specialists today for a free quote and policy overview 508-366-6161. Many people know that valuable items like jewelry and art collections are usually insured separately from other property typically covered under a standard home insurance policy. But did you know that separate policies for specific items such as these, often called a personal articles floater, are not just for expensive items? A personal articles floater is designed to extend better insurance coverage for items that need to be scheduled separately to avoid running into a predetermined sub-limit on a home insurance policy. 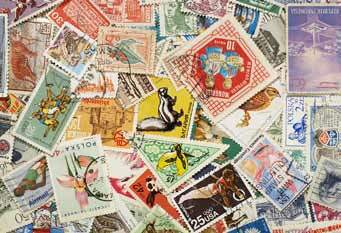 In addition to jewelry and fine arts, the floater can also cover unique items such as a stamp or coin collection or model railroad. Portable property, such as cameras and video equipment, may be scheduled along with fragile or hard-to-find articles like statuary, sports memorabilia or vintage wine. In addition to restrictive sub-limits, most home insurance policies limit personal property coverage to a named-peril basis, meaning—if the cause of the loss to property is not specifically listed in the policy—there is no coverage. In contrast, most personal articles floaters are designed to protect your property on an “open-perils” basis, meaning all losses are covered unless specifically excluded. For example, if you lose a ring in the lake while boating, most home insurance policies will not pay to replace it because there is no peril listed to provide coverage. If the ring were insured on a personal articles floater, the loss would be covered unless the policy specifically describes that event as one that eliminates coverage. For more information on a personal articles floater for your property, call our service team today. Here’s a true construction anecdote that might make you think about contacting us to conduct an annual review of your coverage. A contractor attempting to install an outside stairwell to a home flips a backhoe into a hole he dug for the base. While attempting to retrieve the backhoe with his personal truck, the contractor pulls too hard, tears off the bumper and rams through the homeowner’s fence. Ultimately, he has to hire a crane company to lift the backhoe out of the hole. All this while the laborers he hired for the day sit and watch, doing no work at all. In the end, he has damage to his personal auto that was being used for business purposes; he has destroyed a portion of a $20,000 fence; he has damaged a rented backhoe; and he has had to shell out for the use of a crane. The $64,000 question: Is he covered? It all depends on the policies he carries and the exclusions stated in them. Every day contractors are exposed to situations that have the potential to jump the tracks and become a financial train wreck. 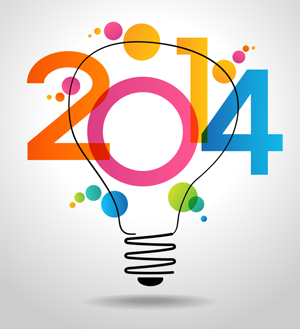 To prevent costly losses due to under-insurance, conduct an annual review with us. Let’s make sure you have the coverage that best suits your business’ operations. Who’s Doing the Dirty Work? If you are using chemicals in your construction work, you may be the one. The Environmental Protection Agency’s (EPA) 2007 report on hazardous characterizations of 101 high-volume chemicals is an excellent way for you to find out if the chemicals your using are classified as pollutants. Reports such as these are often part of the research conducted by insurance claims personnel when determining if a loss due to chemical use is uncovered because of a pollution exclusion. Standard commercial general liability (CGL) policies contain a very broad exclusion intended to address bodily injury and/or property damage caused by the use of pollutants or the release of pollution by businesses. The language in the exclusion reflects the insurance company’s intent to exclude a majority of pollution claims for a variety of reasons. 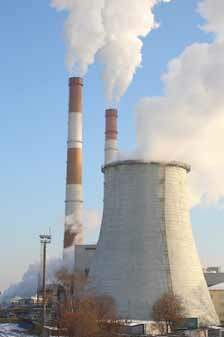 Covering losses caused by chemicals considered pollutants might require a separate insurance policy. To review information on the EPA’s hazardous chemicals list, visit the www.epa.gov. To get coverage for your business’ pollutantrelated risks, contact our service team. In a recent survey, businessinsurance.com found that more than 60% of the largest firms in the U.S. believe intellectual property is the firm’s most valuable asset. Often, intellectual property violations occur in cyberspace in the form of copyright, domain name, trademark or trade secret violation. As firms take to the Web to compete with each other, such violations may seem unavoidable. Add to the list the countless number of employees sharing information on company intranets, blogs, chat rooms, social networking sites like Facebook and other outlets, and the concern becomes even greater. Violation of intellectual property is very serious, even if the violation was unintentional. Traditional general liability insurance does not normally defend the cost of a claim alleging a violation. Covering such claims requires an insurance program designed specifically to address your firm’s electronic media liability exposure. We can help. Our service team works closely with several of the industry’s most innovative insurance companies that are constantly creating and improving products to cover this new and growing exposure. For more information, call today. Seniors Against Investment Fraud (SAIF) along with the Iowa Insurance Division warn consumers of some of the more common financial scams that lead eager investors of all ages astray. These are short-term debt instruments, such as loans from the investor to a company. The promise is a low risk, high rate of return. The problem is that the notes are often “guaranteed” by little-known or nonexistentcompanies. Those that do exist are often not licensed to do business in the U.S. There is no assurance that investors will get their own money back, let alone a profit. These free consultations focus on estate planning, living trusts, retirement investing and other financial schemes. They are geared to establish a trusting relationship between the client and the sales agent and frequently result in the purchase of a financial or investment product that is unsuitable or unlicensed. Annuities are investments that pay out an annual sum based on previous payments. While these are often legitimate and suitable, there can be hidden, costly surrender charges and management fees that can eat away at expected returns. Dealing with a reputable agent is critical. 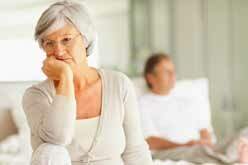 Scams lead to lost income and emotional distress and are a common source of identity theft. What’s worse—because participation in them is voluntary, lost income is likely not covered by home or identity theft insurance. Working with high quality agents like those on our service team is your best option.